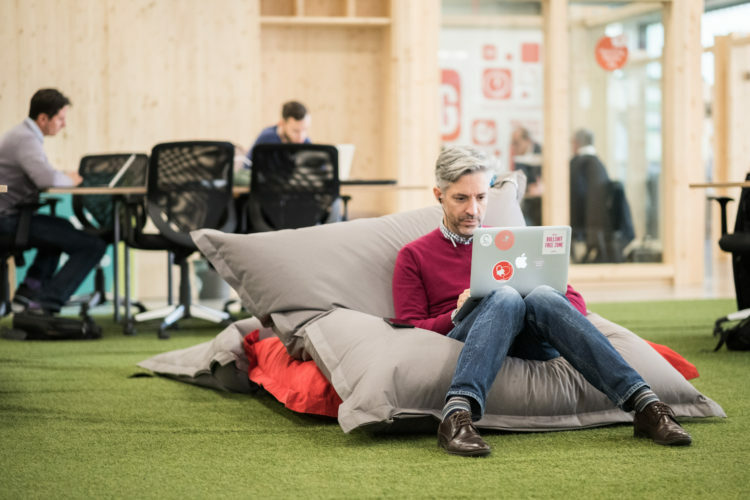 The Italian born Talent Garden counts, nowadays, among the major coworking brands operating in Europe. The Milan based company runs 23 “coworking-campuses” across Italy and the rest of Europe. Talent Garden was one of the first coworking operator to raise VC money in Europe, when coworking still was a tiny trend. 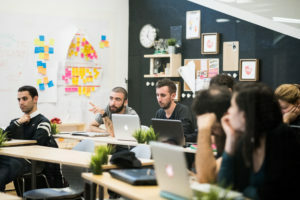 Since then, the group has developed a strong education offering, making it quite a unique model in the coworking industry. We checked with Davide Dattoli, co-founder and CEO, what are Talent Garden today’s vision and plans. Hi Davide. Why does Talent Garden speaks about “campuses” rather than “coworking spaces” when telling about your locations? What is the difference? Talent Garden considers itself as an international innovation platform, who operates facilities where members can meet, work, learn and collaborate. 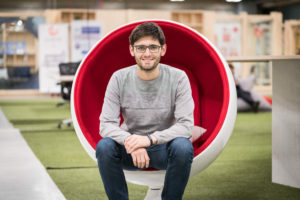 We use the word “campus” rather than “coworking” because Talent Garden was founded with the aim to create ecosystems that would connect, support and grow the best startups within technological and digital arenas. We wanted to contribute to the professional development of future global innovators. Is this a way for Talent Garden to differentiate from the competition while other international brands are gaining ground? I wouldn’t say that. In opposition to some international coworking operators who look first at growing a real estate business, at Talent Garden, community is genuinely at the core of what we do. We focus on new ways to transform and connect both flexible work and education environments, as requested by digital entrepreneurs and businesses. The Innovation School is an important part of your activity. Would you say that Talent Garden is today a training agency as much as it is a coworking spaces operator? The two businesses coexist, giving value to one another. Education is a fundamental part of our ecosystem. In 2015, Talent Garden became active in the education sector with the launch of our School of innovation – a school that offers training in the fields of digital and innovation, with a focus on coding, data, design, marketing, and business. We really believe that this is an integrating part of our offer. We believe and invest a lot in the growth our Innovation School, which today accounts for 25% of turnover along with coworking (50%) and events. And it is exponentially growing: in 2017 we trained 500 students, 1,000 children, 2,300 professionals and involved over 70 companies in its programs. You use to partner up with universities. Why do universities need Talent Garden? We partner with universities that share our innovative approach. We recently announced the opening of our new campus in Dublin in partnership with Dublin City University (DCU), a new hub for digital innovation. This will be the first collaboration of its kind in Europe. In DCU, we have found a University partner with the same entrepreneurial DNA and ambition as Talent Garden. This made the selection process easy. The existing DCU Alpha community of digital and IoT innovators is the perfect home for us, whereas the University partnership will help us to scale our Innovation School offering globally. We believe and invest a lot in the growth our Innovation School, which today accounts for 25% of turnover along with coworking (50%) and events. Does it tell something about the future of education, would you say? We realize that there is an educational gap between the jobs on offer and the professional training required to fulfill those jobs. We created our Innovation School in this context. We train young people and professionals. 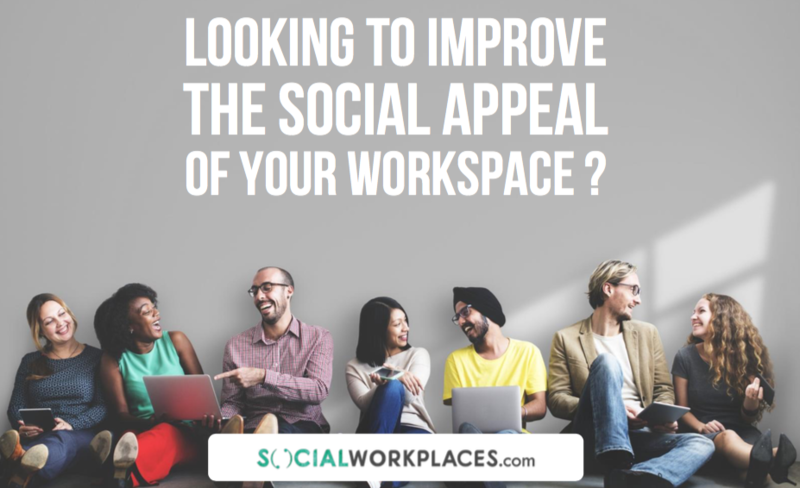 We bring new cultures and skills to businesses and we offer upgrades and updates to those operating in the work environment. We also believe in lifelong learning and change management within individual companies. Today 70% of corporate learning happens at work thanks to on-the-job learning and relationships between colleagues, 20% through coaching and networking and the remaining 10% through traditional training activities, and yet this is where companies devote 80% of their training budget. For this reason, we offer an innovative training methodology, putting people at the center of the learning process based on cross-pollination and co-creation, to make sure that the expenditure in training gives results in proportion to the investment made. Talent Garden has partnerships with tech companies such as Google or Cisco too. How does it work? We support corporates by analyzing their business needs and devising ad-hoc projects to help them embrace the opportunities offered by digital technologies to reach their full potential. Moreover, we allow their cross-pollination with our community of innovators and expose their brand to our stakeholders. This year we involved 180 partners (corporates and SMEs), providing them with the right tools to devise new, innovative ways of working. Corporates may have the capital and resources, but often lack the agility, internal culture, and expertise of startups that are essential for driving innovation and success. Innovation is a key element of corporate growth and requires the right combination of people, processes, and technologies. The wide majority of your spaces are located in Italy. 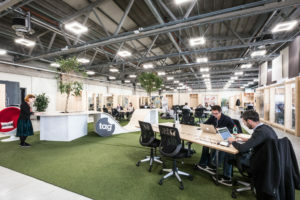 How is the coworking industry growing in Italy? Compared to other European markets, Italy is still at an early stage in the fields of startups development and innovation. That is why we are building a European network, to connect countries and leverage each other’s potential while supporting the best tech and digital professionals in their growth.